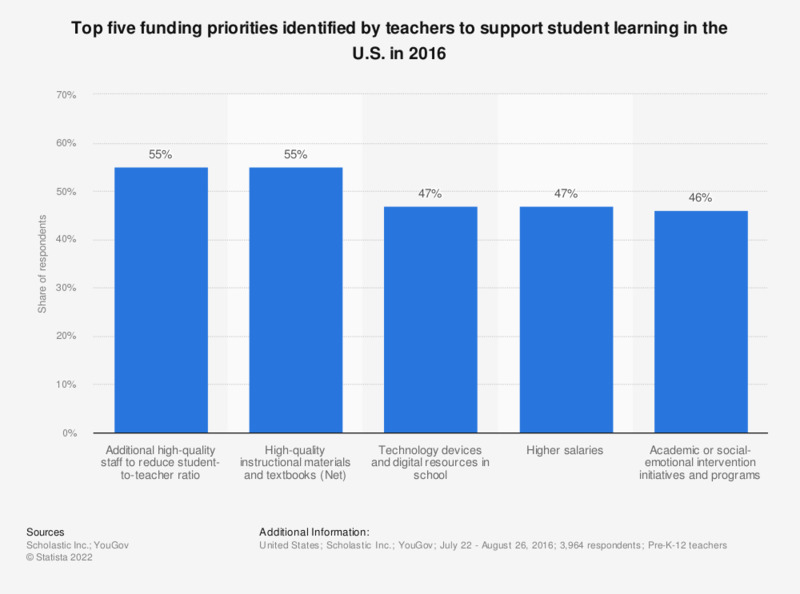 This statistic shows the list of top five funding priorities identified by U.S. teachers to support student learning in 2016. 46 percent of responded teachers believed that funding is required for academic or social-emotional interventions initiatives and programs. The original question was posed as follows: "Knowing that all of these might be important to you, which would be your top five funding priorities to support student learning in your school?"